Set a fine sieve over a heatproof medium bowl. In a medium saucepan, using a wooden spoon, crush the citrus wedges against the side of the pan to release the oils and juice. Add the honey and 1 1/3 cups of cold water and bring to a boil, then simmer over moderately low heat until flavorful and thick, about 30 minutes. Strain the syrup into the bowl; discard the solids. Let cool slightly. Cover with plastic and refrigerate until cold, at least 1 hour. In a blender, puree the kiwis until very smooth. Working in batches, strain through a fine sieve into a medium bowl. 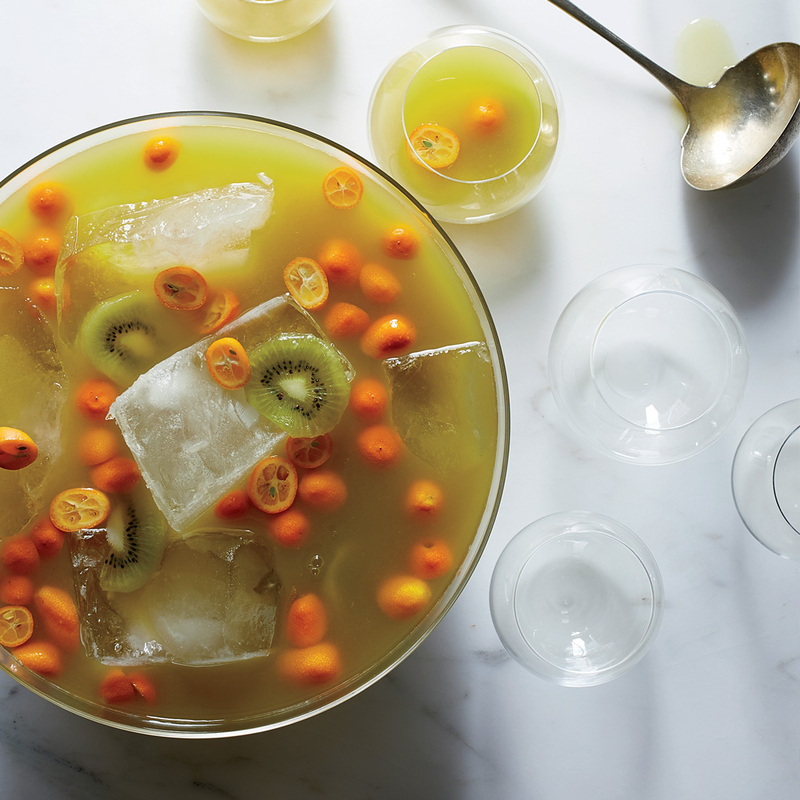 In a large punch bowl, stir the syrup with the kiwi puree, 2 1/2 cups of cold water and the remaining ingredients. Garnish with kiwi slices and citrus and serve.